It is a fact. Technology is taking over every aspect in our lives. For the last decade, the advancement of technology from the medical to industrial to the telecommunications industry (most especially), has truly made leaps and bounds. It is amazing. So much have changed that I feel the world actually seems so much smaller than ever. The internet has done a huge difference in our day-to-day existence. Instead of writing letters via post/mail that will take days to get to the recipient, we send an email that only takes seconds to be read. Text messages have replaced personal phone calls. Photo albums are now gathering dust somewhere in favor of digital pictures that are saved in our computers. We can now all view videos together even if we are halfway around the world from each other, thanks to YouTube. News can be broadcast within seconds worldwide. Heck, we can now even date online. And with cell phones and every conceivable tracking device there is, “not being able to contact” someone has become short of impossible. I can go on and on regarding the merits of technology but on the flipside of it are also its disadvantages. Technology has replaced our interpersonal communications that we have lost much of that valuable “personal” touch in the process. With these techno-gizmos available at our fingertips, a question begs to be asked. Will there come a point that people will actually forget how to communicate personally? Worse, will the English language change to wazup, LOL and BRB, from hello, you’re funny and goodbye? In a society that’s laden with superficial standards which we don’t feel we always measure up to, computers have become our escape-goats. It is easy to hide behind our monitors to avoid being judged. How long before a personal handshake be completely replaced with the keyboard? Will a robot eventually take the place of a human-to-human, interpersonal communication? Hmmnn… food for thought. I miss the good old, simple life sometimes. Yes, technology is good, but there are things in life that cannot be replaced with it. So once in a while, let’s remember those times before the internet, iPhones and iPods, shall we? Let’s make time for our friends and families by speaking to them in person, sending them cards with personal handwritten notes or even visit them in person, ok? So with this post, I would like to remember our missionary friends (the Logan family) who are in South Africa. I have actually made this for them in the past as mentioned in my previous (older) post, but thought that this dish deserves a post of its own. This salad is not only pretty, but delicious as well. It is especially good for warm summer days when the last thing you would want to do is stand in front of the stove /oven and cook! 1. 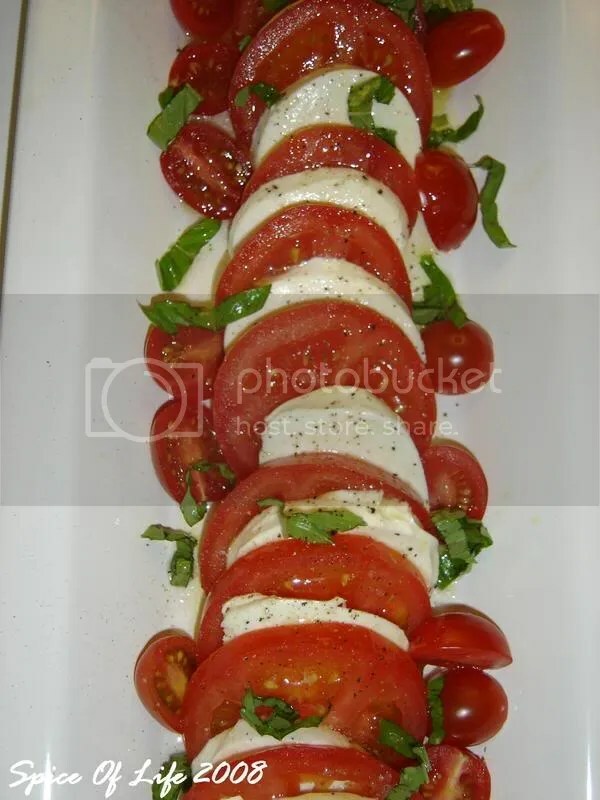 Slice the tomatoes and cheese into 1/4-inch thick slices. 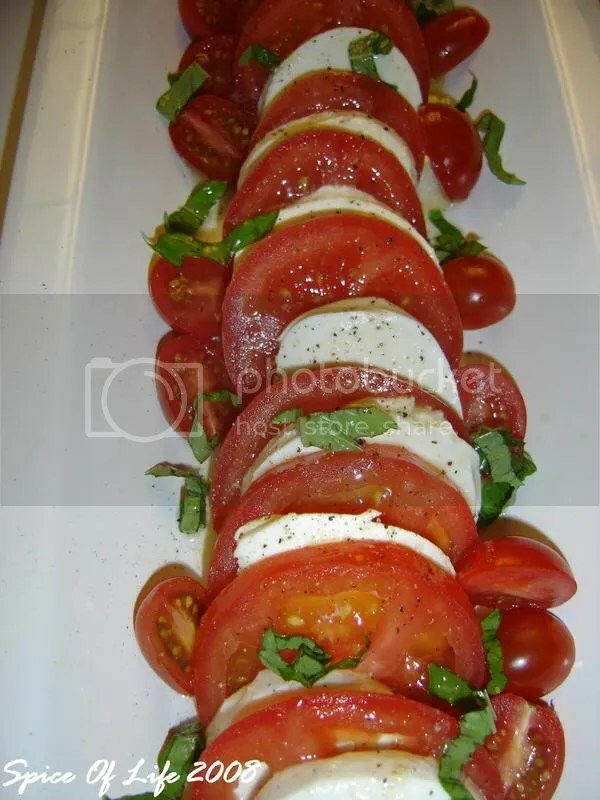 Arrange the salad on a serving platter or individual plates in an alternating pattern. 2. Season with the salt and pepper to taste. 3. Scatter the basil leaves over the top and drizzle with the oil and lemon juice. 4. Serve at room temperature. NOTE*: I used two types of tomatoes. I thought that the different shapes would help the salad look attractive. If only I found sun-gold yellow tomatoes, then this salad would have look even more summery! This post is sort of a continuation to my previous post, which was about our July 4th celebration. As mentioned to you, my hubby and I decided to grill some rib-eyes, and I prepared this side salad. Like I said, this coleslaw was inspired by KFC. I’ve always liked how they prepared the coleslaw, so I wanted to make an imitation of theirs. I’ve browsed through the internet for recipes, and I was so surprised that there’s a lot that came up as a result of my search. I compared a lot of the recipes that I found and noticed that most of them have similar ingredients, only the ratio varies just a tiny bit. So, I decided to make my own version. The salad is a breeze to make, mainly because I also decided to use the pre-shredded mix in the bag. Of course, nothing beats fresh ingredients from the market. But for working wives like me, or if you’re pressed for time, those pre-washed, bagged salads are a huge help. Anyway, the following recipe is more like a method than anything else. Please feel free to adjust the ingredients’ ratio, according to your preferences. The measurements I gave below are all an approximation, as I eyeballed everything, and tasted the mix every now and then until I’ve convinced myself that I’ve come close to KFC-coleslaw taste that I was trying to achieve. 2. Add the vegetables to the mixture. Toss until dressing is well incorporated. Season with salt and pepper. 3. Cover the salad with plastic and let it rest in the fridge for about 2 hrs before serving. July 4th, a reminder of America’s independence and freedom as a nation and as a people. It is a reminder that FREEDOM is certainly not FREE. Great men who went before paid a great price so that Americans can enjoy the kind of liberty that they have today. So, I pay homage to the great leaders such as Thomas Jefferson, and all those brave men and women who fought for their vision of “a land for the free” to come into a reality. As well, I’d like to thank all those soldiers who are in the battlefront defending this country and the principles it stands for. Thank you so much for putting your lives on the line. God bless you, God bless America! With that said, I am also thankful that July 4th is a non-working holiday. It fell on a Friday so we have a 3-day weekend. Yipee!! But my hubby and I both have no family in Florida, our best friends are in South Africa (as missionaries), and gas is so crazy expensive to drive anywhere — so we had nowhere to go!! … LOL. Actually, that’s not entirely true. We do have other friends, but we just chose to stay in the house. We had a truly lazy day; we slept in and just watched pay per view movies. I do thank God that after all these years, we still find it a pleasure to hang out with each other. But in a true July 4th tradition, we have to fire up the grill, right? So we did that in the afternoon. For our July 4th celebration, we choose to grill rib-eyes (hubby’s fave cut of meat) and corn on the cob. I made coleslaw salad and had Bush’s grilling beans. We also had garlic bread. Quite a spread for just the two of us, huh? It’s such a pleasure to collaborate with Mr. J. He likes mixing up spices, and that’s just what he did for the steak. 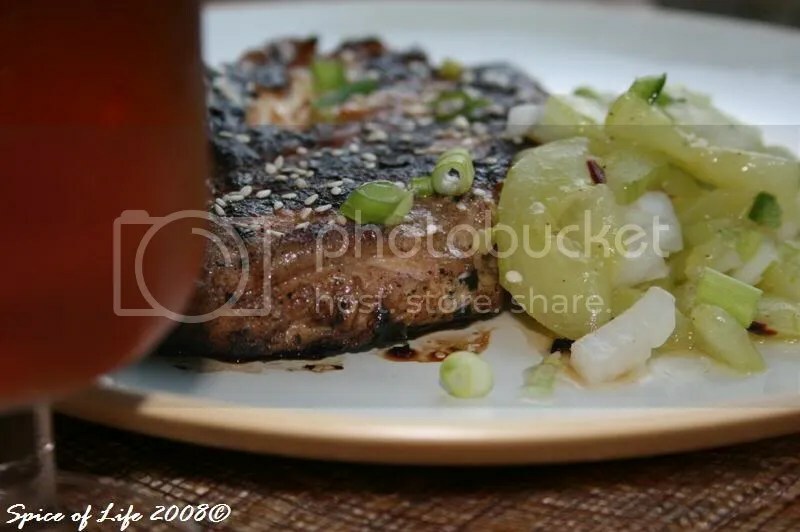 And after surveying what we have in the fridge and pantry, he also came up with a steak sauce – a mixture of horseradish, mayo and pineapple… Sounds weird huh? But it came out good. I’ll tell you more about it as I explain to you how he made it. As for me, we had coleslaw mix in the bag, so I decided to make a the coleslaw salad- KFC style. I’ve always liked KFC’s coleslaw, and so, I tried to imitate that – which I think I did a good job of. It tasted yummy. But hey, you might say I’m biased because I made it. Well, you just gotta try it yourself, won’t you now? For the beans… we’ll we just had to try this new product. But since it’s from the can, we didn’t do a whole lot except added sauteed onions and a bit more seasoning to it. Recipes will have to follow when I get it from Mr. J..as for now, hope you had a good July 4th celebration as well. What’s for lunch? This is a question that Mr. J and I ask ourselves everyday. And do we have as options? McDonalds. Wendy’s. Taco Bell. Burger King. KFC. Pizza Hut …. and countless other fastfoods. These are what confronts us as we contemplate on what to eat for lunch at work everyday. I have nothing against fast foods. They are convenient and delicious! But the fact remains, they do you no good, especially when eaten on a daily basis. I’m sure you are aware of this, so I don’t have to elaborate on the reasons why. Suffice it to say that if you indulge on fastfood often enough, your buttons will have to eventually explode while your wallet implodes! Hah! (I was alluding to your physique expanding sideways and your wallet being empty, get me?). Not a pretty picture, huh? This is exactly the reason why we cook a lot at home. The same reason why I made this dish today especially for Mr. J. I wanted to give my dear hubby a good but healthier alternative to his lunch. This pasta, coupled with a piece of fruit for dessert is definitely a much better option. 3 cups uncooked farfalle (bow tie pasta), about 8 oz. 1. Cook pasta according to package directions. Omit salt and fat. Cool. 2. Combine orange juice and the next 7 ingredients (thru vinegar) in a large bowl, stirring with a whisk to combine. 3. 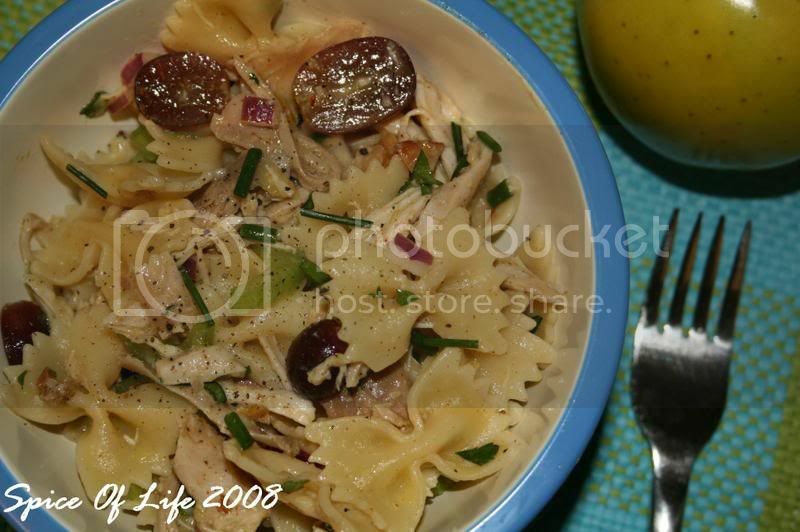 Add cooled pasta, chicken, grapes, celery, red onion, walnuts, chives and parsley. Toss gently to combine. *NOTE: For an even quicker preparation, use rotisserie chicken from the deli like i did. I made it the night before and threw in the dressing in the morning before hubby leaves for work. This is an excellent way to use left-over chicken from dinner. 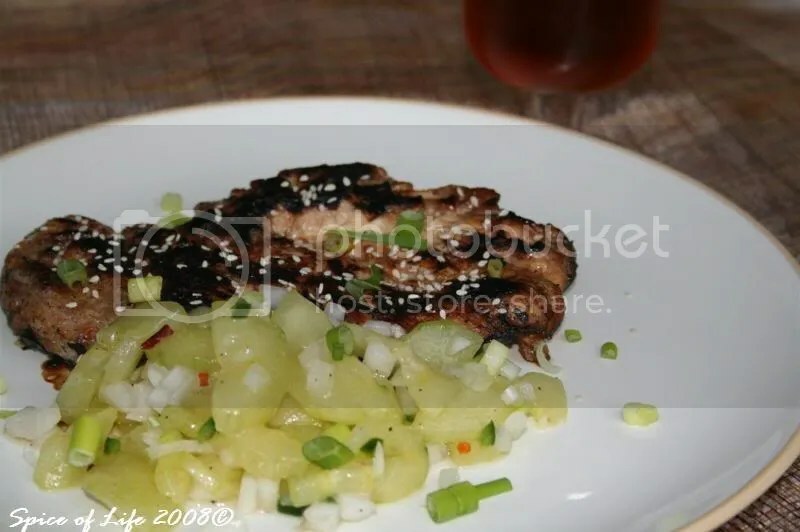 I am always interested in educating my palate, that’s why I was eager to try this recipe that I happen to find when scanning an issue of Cooking Light magazine – chicken and cucumber done Korean style. Kimchi is pretty much all I know about Korean food, and I’m sure that there’s more to it than kimchi. It is one of the least familiar cuisine to me among the Asian countries, so I’d be glad to get to know a bit more of Korean cooking. 1. Place cucumber slices in colander; sprinkle with salt, tossing well. Drain 1 hour. 2. Place cucumber slices on several layers of paper towels; cover with additional paper towels. Let stand 5 minutes, pressing down occasionally. 3. Combine cucumber, shallots, and next 6 ingrediets (thru chile) in a large bowl; toss gently. Cover and set aside. 1. Place the chicken between 2 sheets of heavy duty plastic wrap; pound to 1/2-inch thickness. 2. Combine soy sauce and the next 5 ingredients (thru garlic) in a large zip top plastic bag. 3. Add chicken to soy sauce mixture in a bag, seal. Marinate in refrigerator 30 minutes, turning bag occasionally. 4. Heat grill pan over medium high heat. Coat with cooking spray. 5. Remove chicken from the bag; discard marinade. Cook chicken for 6 minutes on each side or until done. 6. 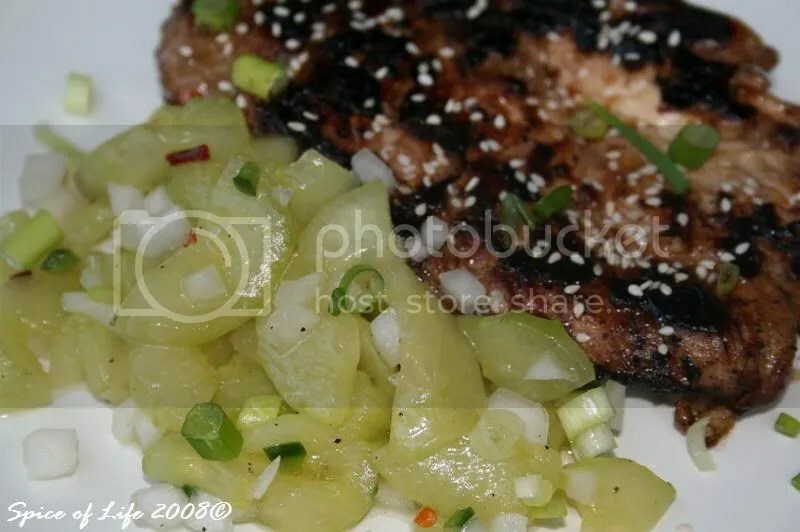 Serve chicken with 1/2 cup of cucumber; sprinkle salad with green onions, and chicken with sesame seeds. NOTE: Recommended meat is chicken thigh (boneless,skinless), but we prefer the breast. You may certainly use chicken thigh if you want, which is actually a juicer and more tender meat. 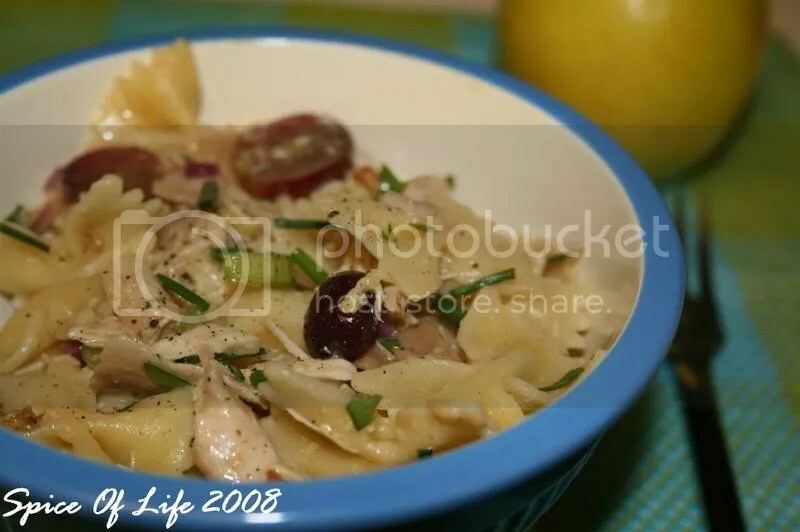 If you look through my food in this blog, there would be one thing that you’ll notice – the recipes are no-fuss ones that are quick to make. Well, this one is not an exception. 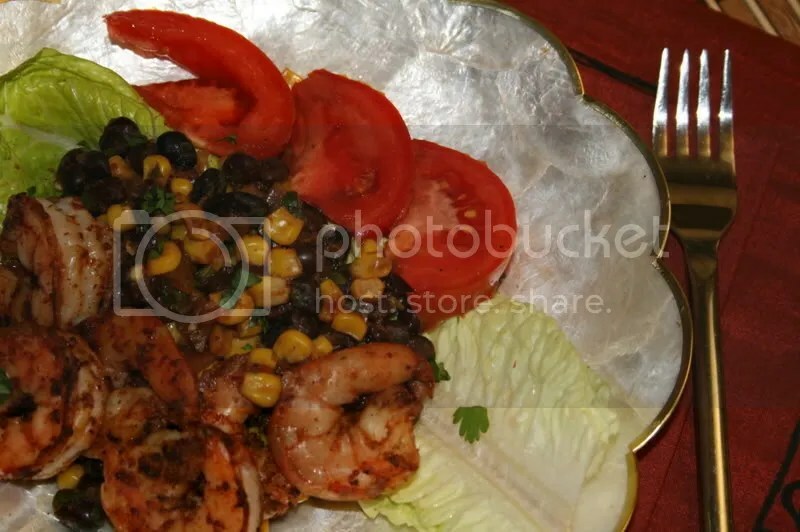 This whole dinner will take you no more than 30 minutes to prepare, provided that your shrimps have already been shelled and deveined. This recipe takes on a southwest inspiration. It calls for chili powder. If you’re not into spicy food, I suggest that you go easy on this spice. However, I guarantee you that despite the amount of chili powder required in this dish, it is not as spicy as you would expect it to be. 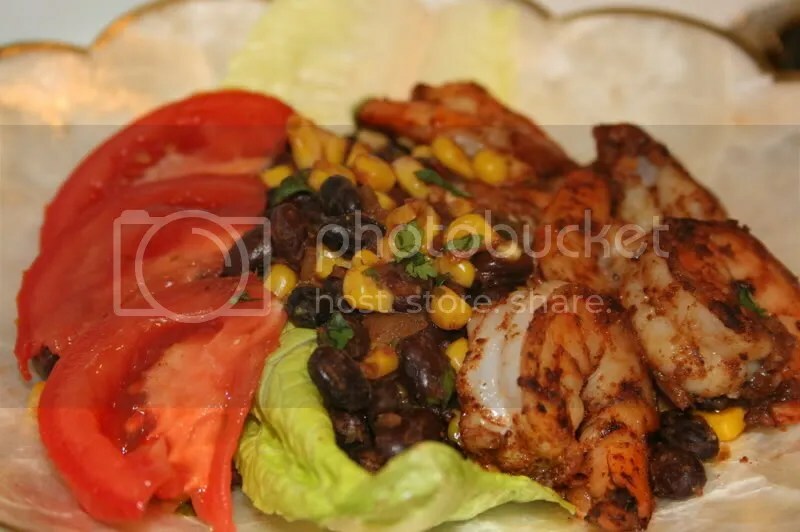 And, the black bean and corn salad also balances the heat pretty well. You may serve this with toasted pita wedges as I did. Or I’d imagine that yellow rice would go well with this too. 2. Combine first 3 ingredients in a large bowl. Add shrimp, toss to coat. 3. Coat pan with cooking spray. Add shrimp, saute 3 minutes or until done. Add 1 tbsp lime juice. Remove shrimp from pan. Add corn to pan, saute 1 minute. Stir in salsa, cilantro, and beans, cook 30 seconds or unti thoroughly heated. 4. Stir in 1 tbsp lime juice. 5. 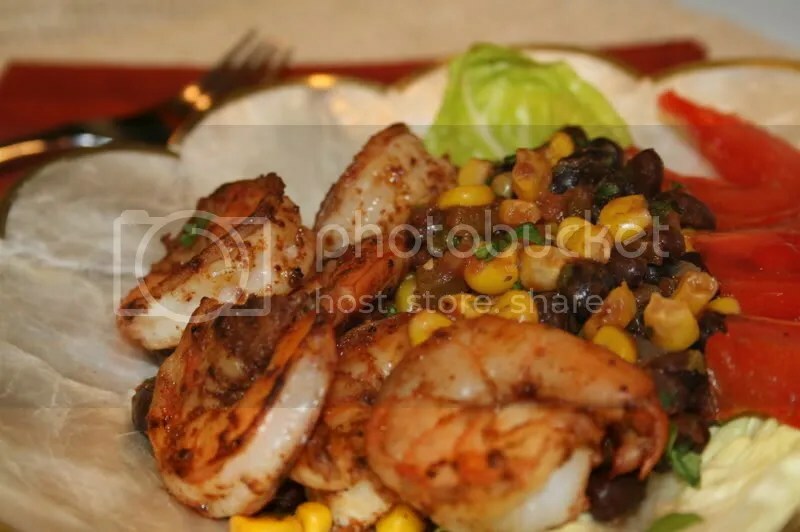 Serve shrimp over bean mixture. This may be a bit late but well, better late than never right? Well on Easter Sunday, my husband and I were invited by my boss to have come dinner with him and his family. I am one of those who are fortunate enough to have a kind boss and who I actually get along with. So for this, I am thankful to God. My boss’ wife happens to love cooking and is a big Foodnetwork fan as well. So, of course we were treated to a special dinner. To Mitch and Anesse, thank you again for the dinner. We truly had a great time.